As you approach retirement, you’ve probably been dreaming about what you’ll do with the extra free time. Perhaps you plan to see the world, spend more time with grandchildren or indulge in some hobbies. But what would you do if your retirement income was less than expected? It’s a challenge many could soon be experiencing. Assuming a record of 35 years of National Insurance, the State Pension is worth £8,545 annually. 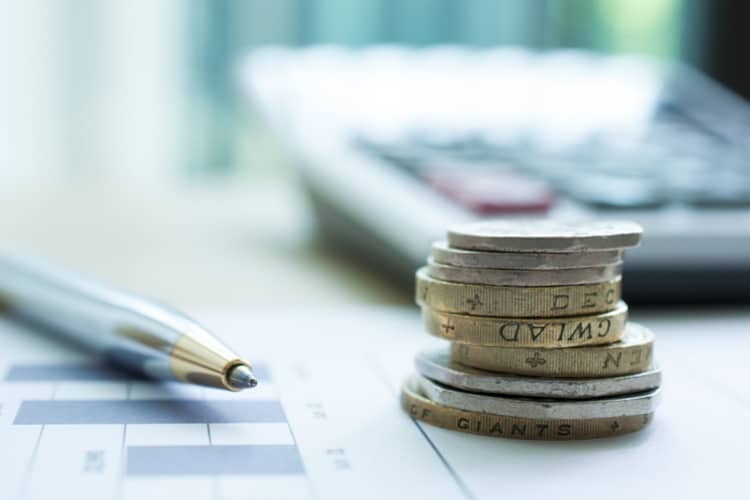 To make up the shortfall, pension savings of around £289,000 would be needed over a 20-year retirement to reach the comfortable retirement benchmark, the research suggests. Once you factor in that many people are now enjoying retirement for 30 or even 40 years, the figure rises even further. Of course, your target pension income will be dependent on your personal goals. This is where financial planning can help. With the right adviser, you’ll be able to understand if you’re on track to have enough to fund your retirement aspirations and enjoy your years after work in the way you want. It’s not a step you should be leaving until the last minute either. Engaging with financial planning before you retire can offer many benefits, from calculating when you can afford to give up work to deciding what luxuries you can splash out on. 1. What will your priorities be when you’re retired? If you’re just focusing on the numbers, you’re missing one of the key aspects of financial planning; your aspirations. Financial planning can help you understand what your priorities are as you approach retirement. Setting out what your goals are is crucial for life satisfaction and wellbeing once you hand your notice in. Of course, retirement plans need to be realistic and your savings will play some role in this. However, your aspirations should be at the centre of the financial planning process. 2. When can you afford to give up work? Do you know when you can afford to give up work? Many people posing this question during the financial planning process are surprised to discover that it’s sooner than they thought. Understanding how long your pension will last for is challenging due to changing income needs and unknown life expectancy. This is where cashflow modelling can help you visualise how your wealth and income will change if you decide to retire now, in five years or further down the line. 3. Will you continue to work on some level? With the above being said, work can be a big part of your identity and you may not be keen to give it up. There’s a growing trend for retirees to continue working on some level after retiring. Whether you choose to work part-time, freelance, or take up casual work when it suits you, your attitude to work should form part of your financial plan. Choosing this route may mean that you can afford to give up working full-time earlier or have more disposable income to spend alongside other pension incomes, depending on your health. 4. How will other assets support your retirement income? Most people will have more than one source of income in retirement. Supplementing your State, Personal and Workplace Pensions you’ve built up, you may have savings, investments or property. Financial planning ahead of retiring helps you take all these different strands to understand what your expected income may be, and in what order assets are best used. It’s crucial to take this step before retiring, allowing you to see if you’re on track and where adjustments may need to be made. 5. Will you have enough income to do what you want in retirement? We’ve already mentioned setting priorities and understanding your projected income. Putting these together means seeing whether you will have enough income to achieve your goals in retirement. If you don’t engage with financial planning before retirement, you may face an unexpected shortfall. However, the sooner you realise there is a gap, the easier it will be to make changes and secure the retirement you want. 6. How will big life events impact your retirement? Many big life events can’t be planned. But that doesn’t mean you can’t get an understanding of their impact. If you’re expecting to receive an inheritance or considering downsizing your home, for example, we can help you see how this will influence your income and, in turn, your lifestyle. Financial planning can also be used to give you peace of mind, for instance, showing how financially secure your partner would be if you were to die before them. 7. Do you want to provide support to loved ones? Many of those in retirement want to provide some support for loved ones. For example, more parents and grandparents are choosing to take some of their wealth to help the younger generation get on the property ladder. Others may want to leave wealth behind through inheritance. Financial planning will give you a better idea of the support you can provide and how this will affect your income. If you’d like to discuss what you want to achieve during your retirement years and how your pension provisions can support this, please contact us. Our goal is to provide the expert advice you need to understand what you want from retirement and how to achieve it. Please note: The value of investments and the income derived from them can fall as well as rise. You may not get back what you invest. The Financial Conduct Authority does not regulate Cashflow Modelling. This entry was posted on Friday, November 16th, 2018 at 9:30 am	by Peter and is filed under News, Retirement. You can follow any responses to this entry through the RSS 2.0 feed.